Most businesses or websites try to achieve only one objective: a higher positioning on the search engines. There is only one reason for that and it is for bringing in higher revenue through selling their service or product. Actually, it is not about the rankings but it is the amount of traffic generated due to the rankings. This is the very reason why PPC engines are used as a tool for developing various online marketing strategies so that you can get the highest return on your investment. Tools like WordTracker or the Overture Search Term Suggestion Tool are one of the best for determining the key phrases or the words or phrases that are most searched by users. The only drawback is that these tools can’t tell you if a particular phrase can generate a high return on investment for you. Only in a scenario where you are aware of the kind of conversion rate a particular phrase will offer you, can the SEO campaign be advantageous and beneficial. Let’s take an example. If you have a business that deals with camping equipments and if you look for various phrases that have the highest number of searches related to your products then you will find that the primary keyword would be "camping". This will be the main targeted phrase. The question is: will "camping" be able to deliver a high ROI? The answer is no and the reason is mentioned as under: Keyword phrase: camping Searches: 1,570/day on WordTracker Inbound links / #1 site: 1,942 on MSN Number of pages / #1 site: 22,100 If the site has 50+ pages, then the approximate cost will be: $7,000 - $10,000. Now, let's look at the phrase "camping equipment": Keyword phrase: camping equipment Searches: 413/day on WordTracker Inbound links / #1 site: 113 on MSN Number of pages / #1 site: 164 If the site has 20+ pages, then the approximate cost will be: $3,000 - $5,000. Now that you have this information, you can test both the phrases "camping equipment" and "camping" on PPC engines. PPC Engines like Overture and Google offer advanced reporting tools, which will help you or any website owner to track the conversion ratio of the phrases being used. The drawback is that at Overture you will be paying $8.85/click to get number 1 for "camping" or $2.90 to get number 1 for "camping equipment", which is an expensive deal. This is where you can look at the secondary PPC engines. Secondary PPC engines like Enhance Interactive present a testing ground for website owners who believe in choosing keyword phrases. If you are looking at a #1 ranking for "camping" on Enhance Interactive then all you have to pay is $0.15/click and $0. 23/click on "camping equipment". When you test your keyword phrases on secondary PPC engines, try to bid for #1 or maybe you can try to be in the top three as far as a primary target phrase is concerned. Monitor your traffic as well as sales while keeping the site ranking constant for a few weeks. After a few weeks, replace the current phrase with an alternative phrase. Monitor your traffic and sales again. Once you have tested all possible primary phrases, you will be in a better position to identify the phrase that will provide you the highest ROI. There are many other factors that can affect the performance of a particular key phrase. What you really need to consider is what your budget is and how much you will be able to make per click. This will determine the amount of sales that can be expected on a daily basis based on your chosen key phrase. 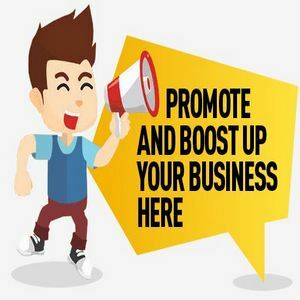 If this promotion campaign pays off within 3 to 6 months then it will be seen as a successful campaign. Although we have not applied the above mentioned phrases “camping” and “camping equipment” on PPC engines but there are two reasons why “camping equipment” is expected to generate higher ROI and they are: 1. The competition for this phrase will be much lower than for “camping” 2. Since the phrase “camping” is more targeted, it is not necessary that people who are looking for camping equipments will be the only visitors. You might get visitors who are interested in getting information on camping sites, types of camps etc. So if you use "camping equipment", you will find audience specifically looking for different camping equipments. The bottom line is that secondary or low cost PPC engine are one of the best tools for checking the true value of your key phrase.